As we remember the pivotal decision made on this very day 46 years ago, I want to share why we continue to fight so hard for the unborn. The picture in this post is of our youngest daughter at nine weeks old. 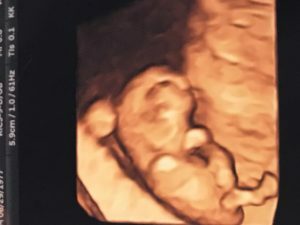 Her arms are just budding out; you can clearly see one of her little legs; and the formation of her face is just beginning. This ultrasound image has hung on our refrigerator for months. Over the past week, it’s become clear that it was truly providential why it remained there. My little girl, nine weeks after conception. Why am I sharing this picture today? I wasn’t quite sure why we’d left this picture on our refrigerator. Our daughter is now four. We have had another baby since then, and l have had many other ultrasound scans. But a few days ago, I took a closer look at this picture and then counted to see how old she was in it. She was nine weeks old. Nine weeks is a very critical age for the unborn. Babies just like this are the target of Planned Parenthood here in Wisconsin and across the country. Babies just like this are the very reason Planned Parenthood recently filed a lawsuit to exponentially expand their abortion business across Wisconsin – to be able to perform more chemical, RU-486 abortions – on babies like my little girl, up to 10 weeks old, at all of their 21 clinics in Wisconsin. We have been fighting for the lives of the unborn for a very long time, but the fight will continue as long as there are people who refuse to tell the truth about our unborn children. We must be the ones who share the images of the “clumps of cells” and the “products of conception”, so people understand they are being told a lie. When a woman seeks an RU-486 abortion, she is not told that her baby has hands, feet, a face, or a beating heart. Instead, Planned Parenthood is telling these women to take the first pill, then the second at home, and, afterwards, they will experience a heavy period. What happens when she is at home and, instead of a heavy period, she sees a little baby with hands and feet? Where does she turn? How does she heal? What does she do with her baby? This is the reason our work is about more than fighting for the unborn and sharing the truth of their humanity. It’s about offering women life-affirming alternatives to abortion; giving them the practical resources they need to choose life; finding help for women who need healing after an abortion; and being the voice of truth regarding the humanity of the unborn and the horrible reality of abortion. 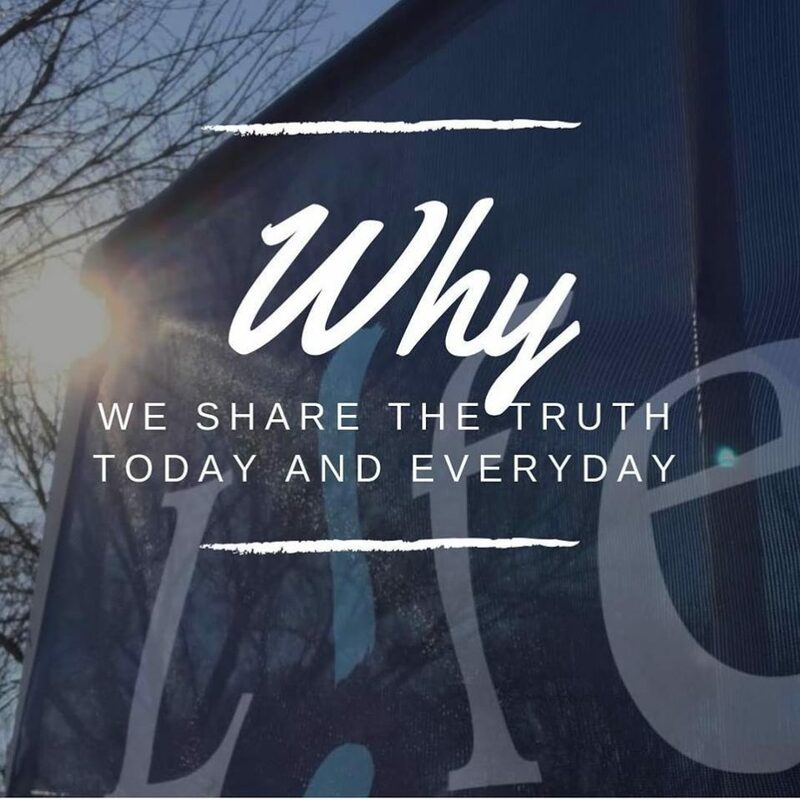 Our agenda is simple: We will keep working to share the truth and, when abortion has become unthinkable, we will continue to share this truth to ensure abortion remains a terrible thing of the past for your children and mine. On this day, remember the millions of women and men who have been hurt by abortion over the last 46 years. Let us be the ones who continue working for the rights of the unborn, even when we are weary, even when we are feeling defeated. Keep working. Keep going. Keep working for those who can’t.